distribution A somewhat narrow northeast-southwest band in the eastern Piedmont and the Sandhills. Ranges west to Stokes, Stanly, and Union counties, and east to Halifax, Nash, Harnett, and Cumberland counties. The species has a peculiar, disjunct, or relict range, and so far has been found only in NY, PA, NJ, VA, NC, SC, and AL (according to the OdonataCentral map). Thus, DE, MD, and GA lack records; and it has been found in just two counties each in VA, SC, and AL (OdonataCentral map). abundance Uncommon but widespread within its rather limited range; noticeably increasing in the past few years. Mainly in the Cape Fear River system -- Haw, Rocky, Deep, and the Cape Fear itself. Rare to uncommon in the lower Yadkin/Pee Dee River system. Rare in the Neuse, Tar, and Roanoke, where so far found only along these rivers (includes the Eno River as the upper end of the Neuse) and not their tributaries; only recently reported from the latter two rivers. Discovered in the Dan River system in spring 2017, but likely rare to very uncommon there. flight Early April to the end of May, and sparingly to mid-June. The peak is during the first half of May. The flight period has moved forward (earlier) by a week to 10 days over the past decade. Formerly quite rare before very late April, but now with a number of records prior to 20 April. habitat Breeds in clean, fast rivers and very large streams. behavior Males perch on the ground near rivers, but they also perch on rocks in the rivers. 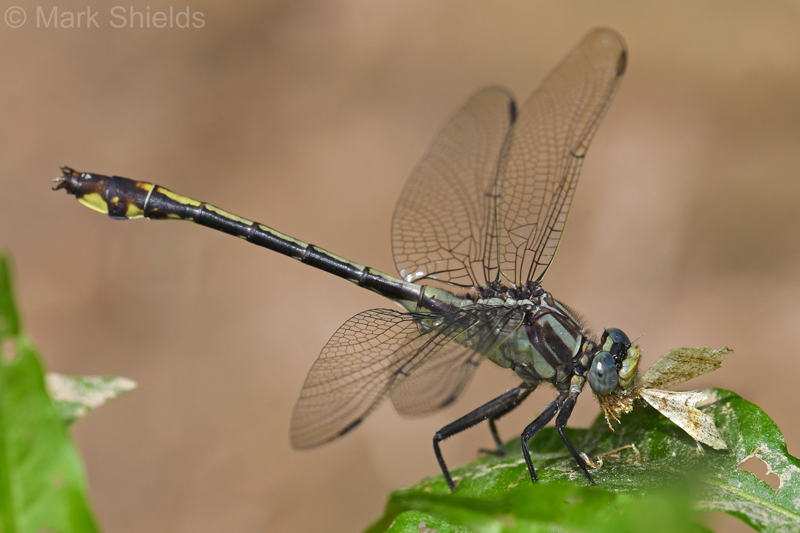 For a clubtail, this species is rather easily observed and photographed, as individuals often perch on dirt roads, trails, and other spots away from the rivers. Comment: Montgomery, 2016-04-05, Uwharrie National Forest, NC 109 at Uwharrie River Bridge. 2 females. Photo. Comment: Wake, 2009-05-15, G. septima, male, Neuse River near Falls Lake Dam, Wake Co. NC.